Note: This blog was originally written at the time of oral arguments before the Supreme Court in March. It’s still timely. Today the U.S. Supreme Court takes up legal arguments for and against the Patient Protection and Affordable Care Act, also known as Obamacare. The plaintiffs are 25 Attorney’s General, including Washington State gubernatorial candidate Rob McKenna. The defendants, technically, are the U.S. Government. 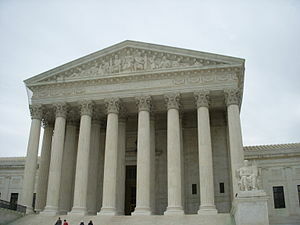 For an unprecedented three days lawyers for either side will try to convince the nine justices of the Robert’s Court that Obamacare should continue to be the law of the land, which it is currently; or that several aspects of the 27-hundred page law are un-Constitutional and ought to be overturned and disallowed. By the time The Court hears the arguments and issues their decision it will be Summer, probably June. At that time we almost certainly will have chosen a Republican Presidential candidate and it almost certainly will be Mitt Romney. And the Presidential, Senate and Congressional election campaigns will be gearing up for the fall vote. And while the Court’s ruling on the Patients Protection and Affordable Care Act will have serious legal, judicial, legislative, and personal impacts all across this country; another aspect of impact that is undeniable is the political impact. And the good news on that front is Republicans can’t lose. The GOP will get a huge boost this Summer no matter if the Court rules for or against Obamacare. If you are one of the 70% of Americans who don’t like Obamacare and feel it should be struck down or repealed how are you going to feel about The Court telling you, “tough”. You are going to feel angry and you are going to feel charged up. With an affirmative vote from the court upholding Obamacare the last, best hope of actually removing this albatross from around the necks of the American people and American business will be to win the November elections for Congress and The White House. Failure to do either will undoubtedly mean Obamacare will NEVER be repealed. Even winning the White House and retaining the House of Representatives will not be enough for the GOP, because the Senate has proven to be a place where good ideas go to die. Filibustering is used as a method to block legislation far more than was intended by James Madison and the other authors of our Constitution when they penned it for consideration 225 years ago. So winning in November becomes an all-or-nothing proposition. 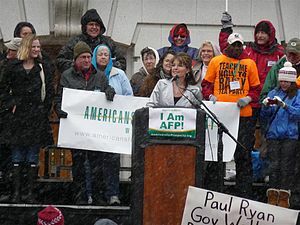 Sarah Palin at the Americans for Prosperity-run Wisconsin 2011 Tax Day Tea Party Rally. As was demonstrated by the Tea Party movement in 2010 Americans will respond when pushed to the brink. If Obamacare is upheld, the Democrats will face a desperate GOP that can’t help but win. If, as I expect, the Supreme Court strikes down Obamacare, saying the Individual Mandate represents an extreme over-reach by Congress, an example of government tyranny our Founding Fathers fought to get rid of, then you will have a President facing re-election with egg all over his face. More significantly you will have a President asking to be re-elected after having accomplished near nothing in his four plus years in office. (That fact remains true even if Obamacare is upheld since the bill was not written by Obama or any of his administration). A President Obama with no healthcare legislation to hang his hat on has only a weak economy, high unemployment, high gas prices, a more dangerous world, and an ardent promise to raise taxes in which to campaign-on. That is a formula for disaster from a Democrats standpoint. And do you think Mitt Romney might benefit from having the Obamacare discussion removed from the table? 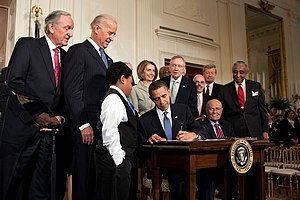 Since much of Obamacare was written, based on the Health Care Law in Massachusetts which Mitt Romney signed into law Romney is likely to dance a jig when the John Robert’s led Supreme Court returns their ruling. He won’t have to continually defend a law that’s very unpopular, or be faced with the comparisons with a law that no longer exists. Instead he can do the right thing and campaign on really fixing the healthcare system in this country. I can’t imagine how President Obama successfully campaigns in the fall. As expected I believe he will only have negative, slime to throw at Mitt Romney. He won’t be able to run a positive campaign. This is another reason Romney is the best candidate for the GOP. He has led such a squeaky clean life his worst foibles aren’t all that bad. In fact, his worst foibles amount to not always being Conservative enough. And President Obama can’t win that argument either. 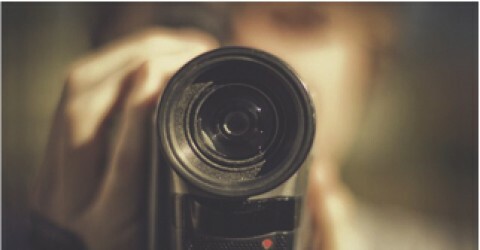 Please Share this blog if you find it interesting.